Pease Hill Rd. & Capitol Dr.
Nelson Family has 20 units, 10 two-bedroom and 10 three-bedroom, specifically for non- elderly families. 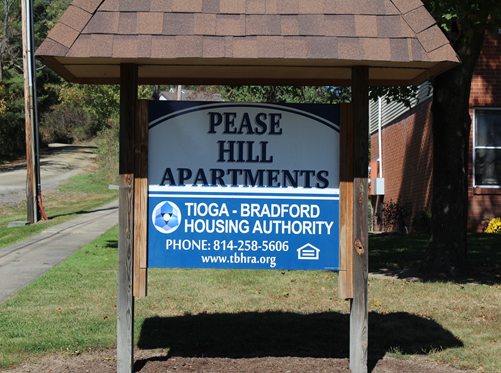 Just a small distance from Lawrenceville or Elkland, Capital Drive and Pease Hill Apartments enjoy a quiet, rural atmosphere while remaining close to town.